The majority of Ardennes-Etape houses can be categorized in the mid-level (3 stars, 50%) and top-level (5 star luxury, 35%) section. The equipment in a 3-star house is about the same as our typical customer is used to in his own home. 4- to 5-star holiday homes, the ones in the top-level, are often equipped with the following: swimming pool, wellness area (sauna, Jacuzzi,…), private bath rooms, lots of space around the house, fully-equipped kitchen and very high-end materials. Fifteen per cent of the houses have a more basic level of comfort and luxury, but are still excellent in terms of price-quality relation. 56.3% of the Ardennes-Etape customer base choose a 3-star house. 31% is more attracted to the top-level luxury category. This clearly indicates supply and demand go hand in hand, which enables Ardennes-Etape to offer an appropriate package for every single customer. On the other hand the owners are sure the level of occupation will be satisfactory. 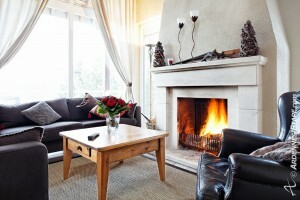 A stay in the Ardennes is not only for families with children. In fact 50 per cent of the reservations at Ardennes-Etape are made by a public without children. This means the customer base is very differentiated. 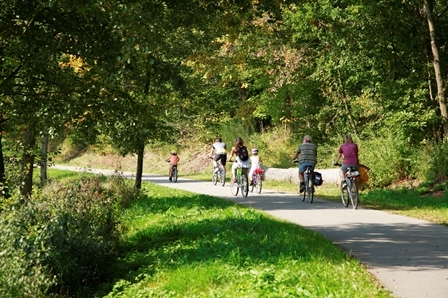 Up until 2011 Ardennes-Etape has had the pleasure to welcome over one and a half million holiday makers in the Belgian Ardennes, which is three times the number of inhabitants of the Grand Duchy of Luxembourg. The first year of activity exactly 7,264 customers showed their trust in this young, Stavelot based company. For comparison, in 2011, the number of reservations exceeded 30,000. The Ardennes-Etape team selects houses of the highest standards to ensure holiday makers an amazing time in the beautiful region of the Ardennes. All houses have one element in common, guaranteed high quality. Customer satisfactory is the barometer for the Ardennes-Etape strategy, never loosing focus on the quality. This way the company makes sure the holiday makers respect the property. Ardennes-Etape keeps an eye on the customer-owner relationship, which is founded on mutual respect. This entry was posted in Business and tagged Ardennes, Capacity, Comfort, Family, Friends, Group, Holiday homes, Luxury, Quality, Rental, Stars, Swimmingpool by Ardennes-Etape. Bookmark the permalink.